Can adding too many pages too fast hurt your SEO? That is the question asked in this Google Webmaster video. For those of you who don’t know, this has been a long standing view in the search engine optimization world. There is a general consensus that adding far too many pages (millions) too fast is not as effective as adding new pages in phases. I can tell you 100% that this is correct. By adding a constant flow of new pages and making sure to only publish one new section at a time you can achieve better results in Google. In a way it is similar to a relationship with your girlfriend. If you ask her to marry you on the first date you probably will get a “no”. But if you build trust with her gradually and then propose your chances are better. Like this, you have to slowly win trust and open your site up to Google. This issue of publishing too many pages at once really only comes up when working on very large websites with millions of pages. 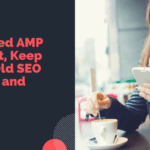 But overall, keep in mind that a gradual approach to adding content will allow for better rankings and overall Google processing. I am so glad that I have found this post of yours. Actually, I am also wondering if I will encounter a problem if I will add too many pages too fast. Thank you very much for explaining that we just need to make sure to only publish one new section at a time for this can achieve better results in search engine.